Two lock features that you may use in your Deck.Toys lesson. 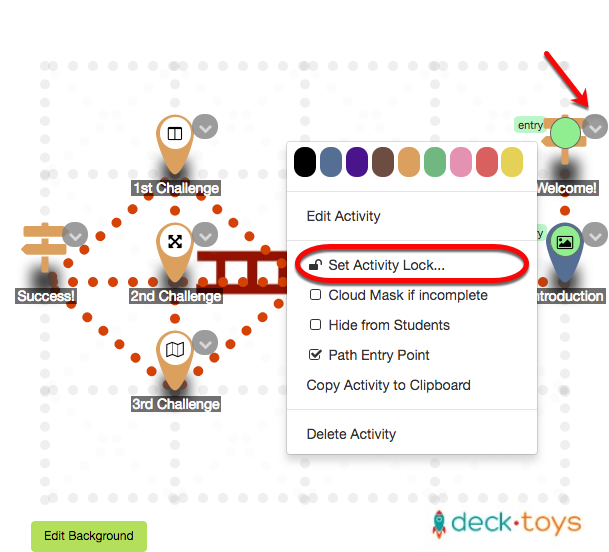 To insert lock on your Activity, click on the drop-down icon and select the 'Set Activity Lock...'. 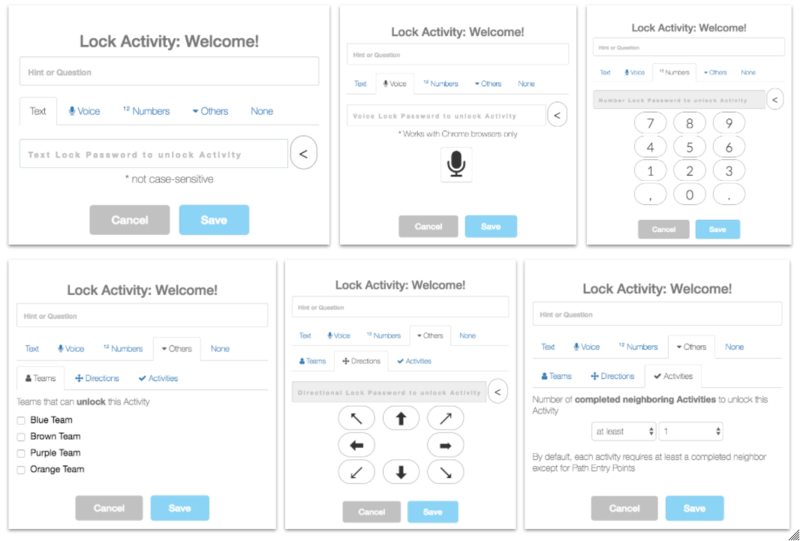 Activity Lock is useful as an obstacle or extra challenge for the student to complete before proceeding to the next activity. There are six different types of the lock which you may choose from. 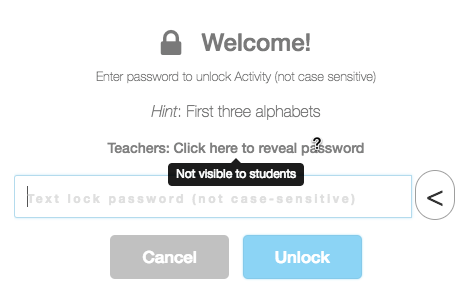 In configuring the locks for Activity, you may pose the question or hint to the password in the given space box.